Q. 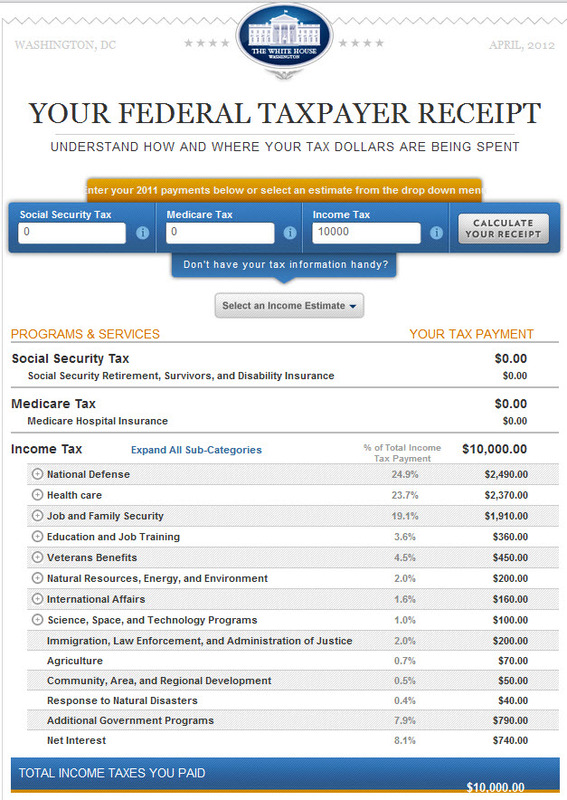 How can I find out how the federal government spends the income taxes that I pay each year? What is the breakdown of federal spending? In his 2011 State of the Union Address, President Obama promised that, for the first time ever, American taxpayers would be able to go online and see exactly how their federal tax dollars are spent. The receipt launched that year and, now, we’ve updated the tool to reflect current spending. Just enter a few pieces of information about your taxes, and the taxpayer receipt will give you a breakdown of how your tax dollars are spent on priorities like education, veterans benefits, or health care.